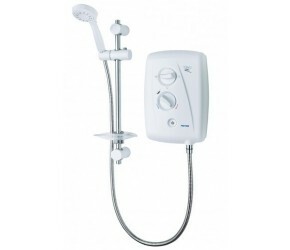 At Designer Bathroom Store, as well as supplying excellent quality bathroom furniture and suites - we also supply a wide range of Showers - which have been handpicked thanks to their levels of quality. They provide the performance that our bathroom products deserve. 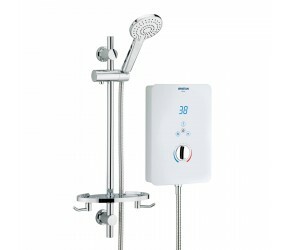 One of the most popular types of Showers we supply is Electric Showers. 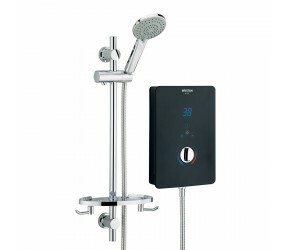 These Electric Showers are a self contained unit, which heats and pumps water out of the shower head when it is needed. Only a cold water supply is needed, meaning no wasted hot water. 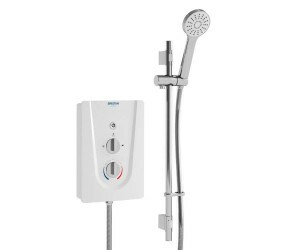 These showers work much in the same way that a kettle does, quickly heating cold water which is then fed through a thermostatic valve - meaning the water is delivered at the desired temperature. One of the biggest advantages of electric showers, is that there is no hot or cold movement when someone else in the house flushes the toilet or uses the hot tap. We only work with the very best suppliers in Electric Showers - so you can recieve a shower which is fit for purpose and provides an incredibly reliable performance.